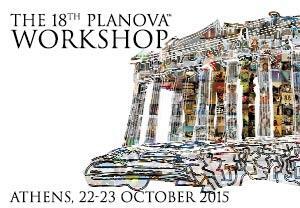 The 18th PLANOVA™ WORKSHOP was held on the 22nd and 23rd of October, 2015 in Athens, Greece. The latest research and applications of Asahi Kasei Bioprocess products were shared through presentations by 17 speakers. Oral presentations were divided into the following sessions: Regulatory Update and Process Optimization, Process Development, and Manufacturing Technologies and New Trends in Biologics Production. The presentations of The 18th PLANOVA™ WORKSHOP are available online.